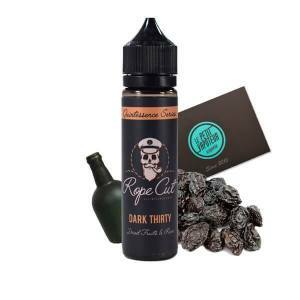 Rope Cut is the famous Canadian Brand of E Liquid for the Elelctronic Cigarette. Specialists of E Liquid such as Classic flavours, Rope Cut propose surprising recipes to be discovered with a Classic base mixed with fruits and gourmet notes. Test the Dark Thirty, mixed with Classic, Grapes and Rhum. 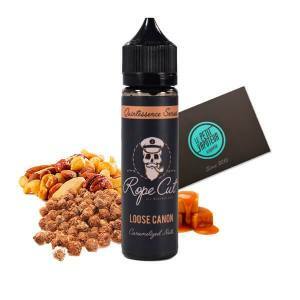 The Loose Canon E Liquid, Classic, Shelled Fruits and Caramel. The Skipper E Liquid, Vanilla Classic. The complex E Liquids are surprising with a preparation in 30/70 in PG/VG in a 50ml Bottle with 0mg/ml Nicotine.